We got a hot crustacean band! Ah – Sebastian the crab, how I loved to sing along to those little mermaid songs in my childhood. Don’t know what I’m talking about? 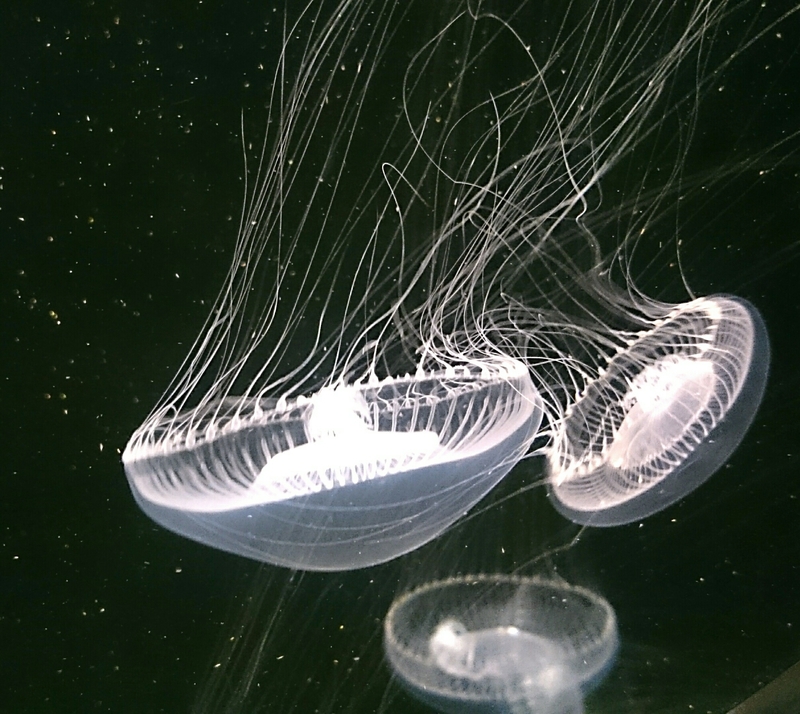 I’m still pretty chuffed about going to the Boston aquarium again…can you tell? Now. I expect you’ll be wondering what a cockchafer is…or…you’ll be imagining something that chafes one’s manhood, and I am here to tell you that it’s the name of a nocturnal scarab beetle, common in East anglia, and not a crude Nickname that I’ve aquired! The name probably means common gnawing beetle, according to Google anyway. I found one of these guys in the bathroom laying on its back having an afternoon nap…nudged to make sure it was alive, then gently ejected it out of the window…he might have a sore head when he wakes up tonight and wonder exactly how much toilet water he drank to mean he didn’t remember leaving his hotel room. He was no problem though, a dopey, sleepy harmless beetle. 4. My boyfriend wouldn’t go anywhere near it when he got home so waiting wouldn’t solve anything. 5. Or worse, he might kill it in a horrific way, he previously killed one by drowning in boiling water then mashing it up on the bottom of the sink, leaving me the carcass to deal with 😦 I don’t like arachnids but I won’t kill them unless I can see no other way. I finally plucked up the courage to pick the glass+cardboard prison up, walked the endless few metres to the window and threw the bugger out, snapping the window shut behind him and waiting for my heartrate to calm the hell down. I’m going to guess that when it finally came to transit time, spidey knew his bravado wouldn’t get him anywhere and that the epic battle for the black fleece blanket had been lost. He stood still and practically sulked. And to add insult to injury I put the blanket immediately in the washing machine. Everybody loves a good heatwave don’t they? Now onto the arts and crafts section of this entry! 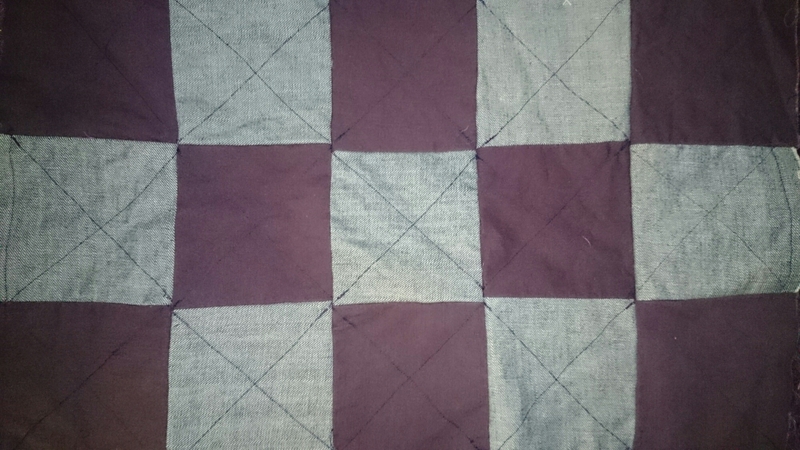 I went to new Hampshire and I learnt to quilt. 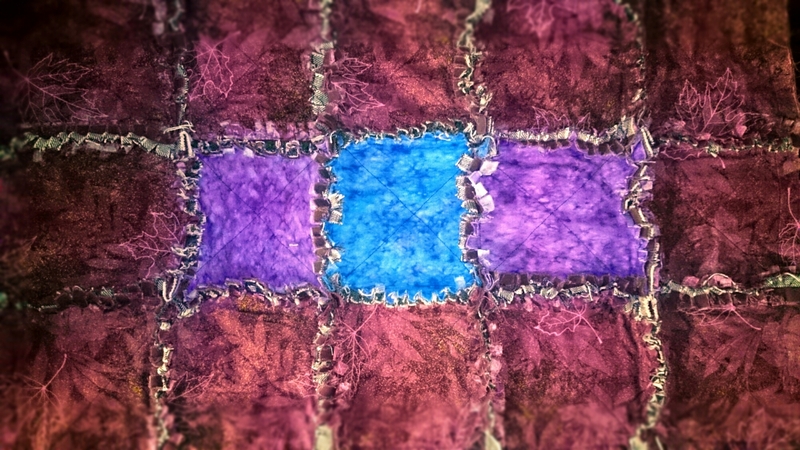 It’s Meant to have frayed edges around each square. Apparently you are supposed to pick random bits of fabric but I preferred to do something more planned (or boring). Don’t ask me what it IS that I made, only that it’s 50% denim, but I will say that if you were after something with which to chafe your nether regions, then I guess it would do the job. This entry was posted in anxiety, arts / crafts / poetry, rambling and tagged arachnid, arachnophobia, beetle, crafting, fear, little mermaid, quilting, sewing, spider. Ha! Really funny. And I like how you brought it full circle. I went to the Boston aquarium but they were under construction at the time so it was a little disappointing. Still good though. What is a pickled sparkly moose princess? Learning to cope. ((I don’t have the drugs to sort it out)).